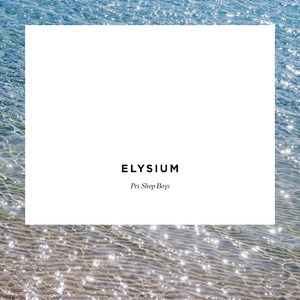 It's a big week for Pet Shop Boys, with the release of their latest studio album, Elysium. And so after counting down my 25 favourite PSB songs in Part 1, it's time to rank my favourite albums by the duo - and there's a nice even 10 to go through. Best album track: "A Face Like That"
Not very many things excite me more than news a new Pet Shop Boys album is on the way, and with it being three years since their last, Yes, I was more than ready for the arrival of Elysium. But when "Invisible" was released as a teaser track and "Winner" was unveiled as the first single, I was underwhelmed. I'm fine with downbeat PSB tracks, but something about those songs just didn't connect with me. I've been listening to Elysium for a couple of weeks now, and I'm hoping it'll grow on me a bit more, but so far only "A Face Like That", "Leaving" and "Memory Of The Future" have grabbed my attention. Hopefully, rumours of a more pop-oriented album coming from the same recording sessions are true and I'll be looking forward to another new album in the near future. Singles: "Home And Dry", "I Get Along", "London"
Until Elysium, I'd always assumed this would be the Pet Shop Boys album I'd like the least. And really, they were asking for it by going all acoustic and "real" on us. Thankfully, the new musical direction was a brief side-step and Disco 3 and the new tracks from Pop Art put them firmly back in synthpop territory. 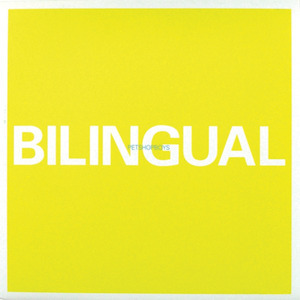 Having said all that, I did quite like first single "Home And Dry", which is something I can't say about the first releases from Bilingual, Fundamental, Yes or Elysium. Singles: "Love etc. ", "Did You See Me Coming", "Beautiful People"
I was actually expecting this album to be higher up my list - especially since, at the time of its release, I was thrilled Pet Shop Boys were collaborating with the brains behind Girls Aloud, Xenomania. But, I think I'd forgotten that for every pop gem like "Pandemonium" or "The Way It Used To Be", there's a "King Of Rome" or "Legacy" that just doesn't do it for me. And that's why Yes lands all the way down here - it has great highs, but too many average songs dragging it down. Singles: "I'm With Stupid", "Minimal", "Numb"
Best album track: "Twentieth Century"
Firmly back in classic PSB territory after the extra-curricular excursion that was Release, Fundamental again featured some great additions to their oeuvre (like "Integral" and "Minimal") and other songs I didn't really care for (like "Luna Park" and "Indefinite Leave To Remain"). 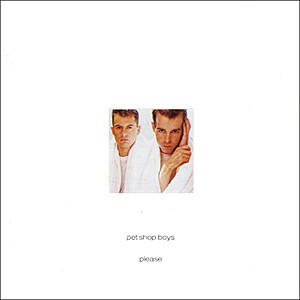 Singles: "I Don't Know What You Want But I Can't Give It Anymore", "New York City Boy", "You Only Tell Me You Love Me When You're Drunk"
Best album track: "In Denial"
None of the three singles from Nightlife featured in my top 25 Pet Shop Boys singles of all time, but as an album there was more consistency than anything they've since released. 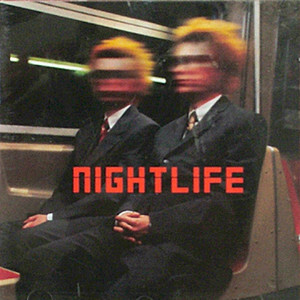 Boasting a more club-oriented feel than any of their other studio albums from the '90s, Nightlife only really flags on tracks like "Footsteps" and "Boy Strange", which both sound more suited to Release. Singles: "Before", "Se A Vida E (That's The Way Life Is)", "Single-Bilingual", "A Red Letter Day"
Best album track: "Up Against It"
Following up Very was no small task, and while Bilingual was possibly the last thing I expected, it did the job pretty well. All that drumming got a bit much after a while, and I would have picked a quite different set of singles ("Saturday Night Forever", anyone? 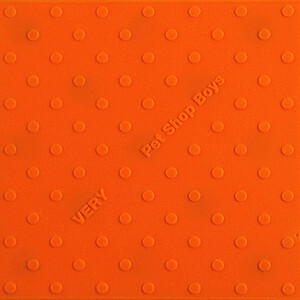 ), but there were enough flashes of brilliance for this to land a place as one of my top 5 Pet Shop Boys albums of all time. Singles: "So Hard", "Being Boring", "How Can You Expect To Be Taken Seriously? 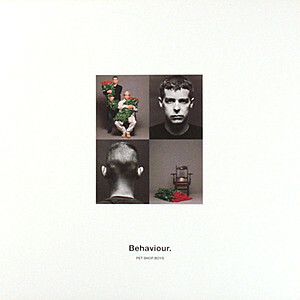 ", "Jealousy"
Best album track: "The End Of The World"
Widely regarded by many as the best Pet Shop Boys album of all time, Behaviour probably has the most consistent feel of any of their releases, with only "So Hard" sounding a little out of place amongst the electro ballads and mid tempo synthscapes. There is something beautiful about the album, with the likes of "Only The Wind", "Nervously" and "This Must Be The Place I've Waited Years To Leave" really conjuring up a sentimental feeling whenever I hear them. But, given my top 3 albums, the lack of breakout pop hits means this can only ever be my fourth favourite PSB album. 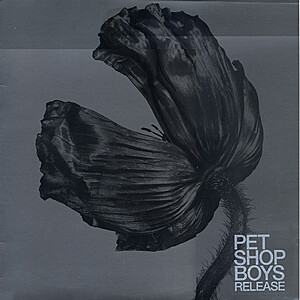 Singles: "West End Girls", "Opportunities (Let's Make Lots Of Money", "Love Comes Quickly", "Suburbia"
As debut albums go, Please is among the best. Featuring classic songs like "Tonight Is Forever", "I Want A Lover" and "Why Don't We Live Together", not to mention the actual singles released, it's one pop smash after another. But there's an edge to proceedings - a dark undertone to the catchy melodies that established Pet Shop Boys as a pop group with substance. They'd perfect their craft on subsequent releases, but as an initial statement of intent, there's not much they could have done better. Singles: "Can You Forgive Her? ", "Go West", "I Wouldn't Normally Do This Kind Of Thing", "Liberation", "Yesterday, When I Was Mad"
Best album track: "One In A Million"
I long assumed that Very was my favourite Pet Shop Boys album, but then I forget about "Dreaming Of The Queen". Aside from that downer and, to a lesser extent, "To Speak Is A Sin", Neil and Chris don't really set a foot wrong on Very. Besides the songs listed above, there's "The Theatre", "A Different Point Of View" and "Young Offender" - all big, bold pop tunes. And that was Very's appeal for me - it was an unashamedly pop album with everything from the bright orange packaging to the shiny CGI music videos reinforcing that point. Singles: "It's A Sin", "What Have I Done To Deserve This? 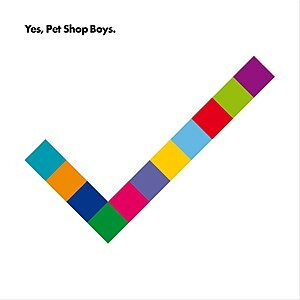 ", "Rent", "Heart"
Best album track: "One More Chance"
So Actually is, er, actually my favourite Pet Shop Boys album of all time. What they started with Please, they perfected on Actually with album tracks "One More Chance", "Hit Music", "Shopping" and "I Want To Wake Up" to rival some of their finest singles of all time. The weak link is "It Couldn't Happen Here", but I'll take that any day over most of Elysium. What about Introspective? Well, I know it's officially a studio album, but with only six tracks, it hardly seems fair to compare it against all the 10 and 12-track albums above. So, here are my five favourite "other" albums - remix projects, EPs, bonus discs and the like. 5. Christmas EP: I wasn't so crazy about "It Doesn't Often Snow At Christmas", but the cover of Madness' "My Girl" and the "Viva La Vida/Domino Dancing" mash-up were nice gifts. 4. 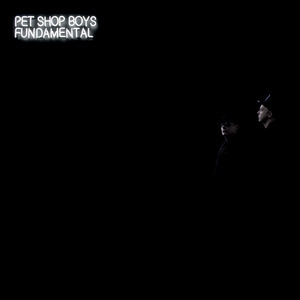 Fundamentalism: Without this bonus disc released with Fundamental, there would be no "Fugitive", one of Pet Shop Boys' best songs from the new millennium. 3. Relentless: The dance mini-album which came with the limited edition of Very contains amazing club tracks like "Forever In Love", "KDX 125" and "One Thing Leads To Another". 2. Disco 3: The light to Release's shade, the third instalment of the regular dance series featured highlights like "Try It (I'm In Love With A Married Man)" and "Positive Role Model". 1. Introspective: There's not a bad track on this 1988 release - from singles "Domino Dancing", "It's Alright" and "Left To My Own Devices" to PSB's own version of "I'm Not Scared", this proves that sometimes less is more. 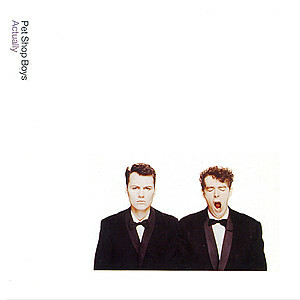 Pet Shop Boys are one of those groups you could listen to for hours and only scratch the surface of their impressive body of work. Between the singles, B-sides, album tracks, remixes, bonus tracks and the work they've written and/or produced for other artists, there's a lot to take in - and thankfully it's mostly been a pleasure listening to their music since their 1985 breakthrough.